Stop worrying about the big move. Consult with an experienced professional and receive a no-obligation quote. Get our crews working for you. With over 110 years of moving experience behind us, we’re the team to call. Why waste your time with all the forms when you can just call us. Make a connection and get your answer right away. Our crews’ combined experience will make the difference! If you’re too busy to call, send us your info and we’ll provide a response at your convenience. Curious about our storage options or pricing? Get in touch with us right away. Looking for a Moving Company in Victoria? Contact J & L Moving & Storage Today! 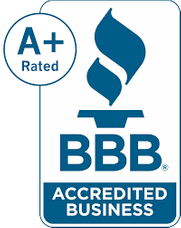 In business since 1966, J & L Moving & Storage is a fully licensed moving company in Victoria, BC. We employ insured professionals (not temporary labourers) for local or long distance moves throughout Vancouver Island, the Lower Mainland and the Okanagan Valley. Serving government, commercial and residential clients, J & L Moving & Storage provides fast and cost-effective packing and moving services. We will determine the best way to make your move for the lowest possible amount! Plus we have all the packing supplies you’ll need to protect your property! We also operate a secure, climate-controlled storage facility for short- and long-term needs. Storage sizes can be adjusted based on your requirements. Support a local company staffed by your community neighbors. J & L Moving & Storage employs long-term moving professionals, not temporary labourers. Our experienced crews possess over 110 years of moving experience between them! Contact us today to discuss your moving and storage needs and to request a free, no obligation estimate. Safeguard your property! Ensure that your sensitive documents and equipment are transported correctly by reliable, professional movers. With over 110 years of experience behind us, we specialize in delivering cost-efficient moving and storage solutions for residential customers. Our climate-controlled facility offers easy access and provides a range of sizing options for your specific needs.